Simple and versatile, our bikini set comes with matching reversible bottoms for a 2-in-1 look! 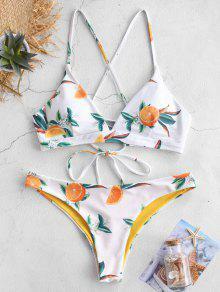 The bikini top features crossover straps and lace-up detailing at the back and the bottoms are reversible, which features refreshing orange print on one side and solid hue on the other. Fits well Looks exaclty like the pictures Super cute The only reason I am giving this swimsuit 4 stars is due to the seam line on the reversible bottoms. The placement is not flattering and makes it appear like the bottoms are inside out when wearing the solid side, in my opinion. 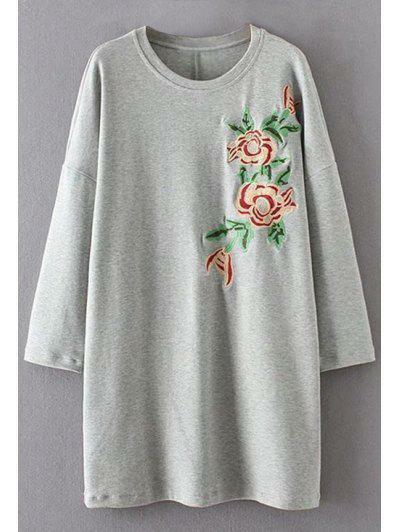 One of my favorites that I bought from zaful. The color is vibrant. The strings are long in the back but that can be adjusted easily. The bottoms are cheeky but still appropriate In a family setting. 5’2 110 lbs size small fits perfect. I'm over my head excited about this bikini! 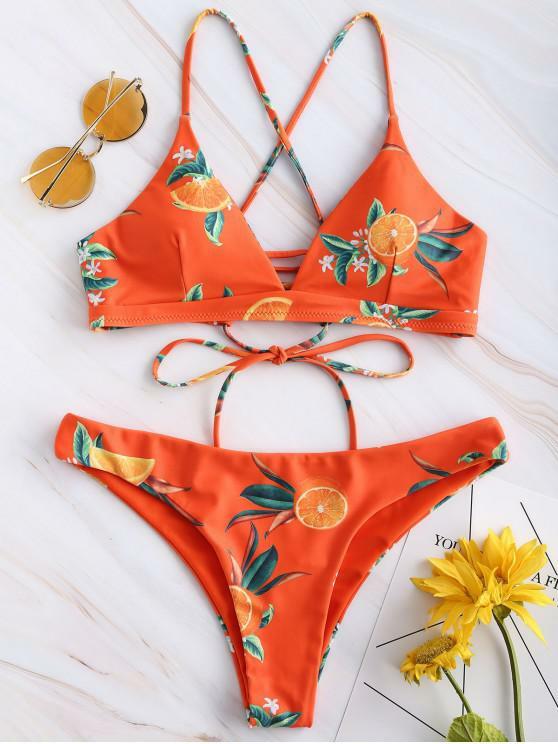 My first purcase from Zaful and I was, to be honest, a little nervous about ordering a bikini without trying it on first. But it's even better than I could imagine! I'm 170cm and 60kg and ordered an M, and it fits perfectly! The only down side is the long strings. Otherwise completely in love - summer's saved haha! I LOVE this bathing suit. For someone with a natural, LARGE chest that needs support, this bathing suit is a win! I was worried it was going to be too small on the top, but it fits perfectly. GREAT material, great quality. I will be ordering this suit in the other colors it comes in! I love this bikini, I bought it in S and it fits me perfectly. I'm 1.68, am a EU size 34 and 75A bra size.